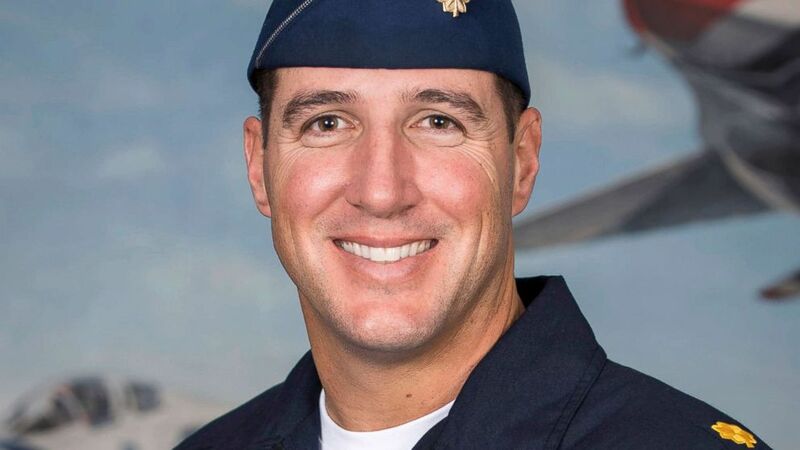 The Air Force has identified the Thunderbirds pilot killed in an F-16 crash in Nevada on Wednesday as Maj. Stephen Del Bagno, an experienced pilot with more than 3,500 hours of flight time. "Maj. Stephen Del Bagno was killed when his F-16 Fighting Falcon crashed over the Nevada Test and Training Range April 4, 2018 at approximately 10:30 a.m. during a routine aerial demonstration training flight," said an Air Force statement. Del Bagno was in his first season with the Thunderbirds flying as the team's Slot Pilot aboard Thunderbird 4, one of six F-16 aircraft that make up the elite flight demonstration team. "We are mourning the loss of Major Del Bagno," said Brig. Gen. Jeannie Leavitt, the commander of the 57th Wing based at Nellis. The Air Force base outside of Las Vegas Nevada is the home base for the elite demonstration team. "He was an integral part of our team and our hearts are heavy with his loss," said Leavitt. "We ask everyone to provide his family and friends the space to heal during this difficult time." Originally from Valencia, Calif., Del Bagno was a 2005 graduate of Utah Valley State University, and was commissioned as an officer in 2007. Before he joined the Air Force Del Bagno was a civilian flight instructor, corporate pilot, skywriter, and a banner tow pilot. Prior to joining the Thunderbirds, Del Bagno served as an F-35A Evaluator Pilot and Chief of Standardization and Evaluation, 58th Fighter Squadron, Eglin AFB, Fla. He had logged more than 3,500 total flight hours in over 30 different aircraft, including 1,400 hours as an Air Force pilot. An investigation is being conducted into the cause of Wednesday's crash. The team's participation at the March Air Reserve Base "The March Field Air & Space Expo" has been canceled. It is unknown how this accident will impact the remainder of the 2018 Thunderbirds season. Wednesday's crash is the latest in a string of high-profile incidents involving the demonstration team that performs annually at air shows across the country. Last November, Leavitt removed Lt. Col. Jason Heard as the Thunderbirds commander - citing a loss of confidence in his "leadership and risk management style." Heard's dismissal followed a June 23 crash in Dayton, Ohio after one of the Thunderbirds F-16's flipped over on the runway, an incident a subsequent Air Force investigation determined was avoidable. On June 2, 2016, another Thunderbirds jet crashed outside of Colorado Springs, Colo., following a flyover at the Air Force's commencement exercises. The pilot ejected to safety. A later investigation revealed that the F-16 crashed because of an equipment malfunction.